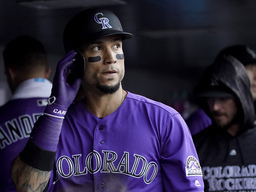 CLEVELAND (AP) Free agent outfielder Carlos Gonzalez intends to sign a minor league contract with the Cleveland Indians, a person familiar with the agreement told The Associated Press. Gonzalez, who played the past 10 seasons with Colorado, will sign once he completes a physical, the person said Saturday, speaking on condition of anonymity because the deal has not been finalized. Gonzalez will then report to spring training in Arizona.